We just released Suricata 1.3.3 which contains some important accuracy fixes. Also, it should be much more robust against out of memory conditions. For those of you running Suricata in IPS mode, this is important as well. We found that rules that have the drop or reject actions, were not playing well with thresholding. So upgrading is highly recommended! Today, a day after 1.3.2, we’ve released 1.4beta2. While 1.3.2 is an important update for those running 1.3.1 or lower, today’s release is where things get exciting. A lot of things were improved and added. Let me show some numbers first. Personally, I’ve been working on two main area’s: defrag engine and the luajit integration, and a couple of other things. The defrag engine was the last major subsystem that still used a Big Lock. Defrag uses so called “trackers” to track fragments belonging to a single IP packet. These trackers are stored in a hash table. 1.3 and prior used a hash that had no locking, so it relied on a Big Lock to protect it’s operations. Suricata has had fine grained hashes for flow and host tables for some time already, so it made sense to port defrag over as well. I’ve written about the luajit a couple of times already. While the basic functionality debuted in beta1, the code has been completely overhauled. The most important change that is user visible is the integration with the various HTTP inspection engines. This did result in a limitation though, for now you can just inspect one HTTP buffer per script. A weird challenge with luajit is that it’s “state” needs to be in the 32 bit part of memory. The reason isn’t clear to me, but this gave us some trouble. Some users use many rules and agressive pattern matcher settings. When after this memory usage the luajit states had to be alloc’d, it failed. I’ve worked around this by allocating a bunch of states in advance, hoping they’ll end up in the proper memory. We’ll see how that will work. I’ve also largely rewritten the optional rule profiling to perform better. Here too, a Big Lock was removed. The accounting is now first done on a per thread basis, and only merged at detection engine shut down. Another nice feature is that it will now print the profiling stats during a live rule reload as well. Next, I’ve improved performance of the decode, stream and app layer event keywords. They were quite expensive as they were checked quite often. I’ve now added a prefilter check to the detection engine’s prefilter stage. Helps quite a bit! Finally, I’ve been working on getting global and rule threshold play well together. This work isn’t done yet, but some real progress has been made. Work is tracker here and documentation lives here. 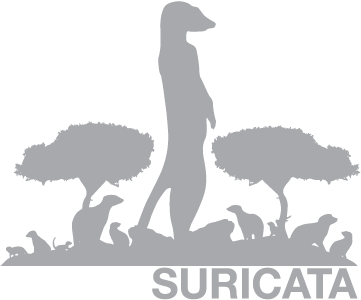 Today we released Suricata 1.3.2. Not a big update, but there are some important fixes in the stream engine, fast_pattern:chop handling, HTTP multipart parsing and the flow keyword with “nostream”. Only the HTTP changes look big, but that is due to adding some unittests. Same for flow keyword. Because of the fixes updating is still highly recommended. Most fixes improve detection accuracy. After an exciting week of meeting and working with the team around the RAID conference, time for another lua update. The http keywords are now integrated into their respective inspection engines. This led to one important limitation for now: you can only inspect one such buffer per script. In a buffer “Mozilla/5.0” and a signature “content:Mozilla;”, “s” in the script will contain “/5.0”. At this moment there is no way yet to pass back an offset from the script to the inspection engine. Update 10/4: this code is now available for testing in the new Suricata 1.4beta2 release! AF_PACKET IPS mode: Eric Leblond has been working on extending the passive AF_PACKET support to support IPS as well. Eric has documented the new feature on his blog. TLS logging and certificate storage: created by contributor Jean-Paul Roliers under guidance of Eric Leblond. As a bonus, a rule keyword to match on certifcate fingerprints. Custom HTTP logging: contributor Ignacio Sanchez created a new output mode for our HTTP log module, allowing the admin to customize the log message format. He has made it compatible to Apache’s mod_log_config. For more information, see our wiki page. Tunnel decoding: Michel Saborde opened a bunch of tickets for Teredo, IPv4-in-IPv6 and IPv6-in-IPv6 tunneling. Saved a lot of time in Eric’s implementation. There is more, like the luajit keyword I wrote about yesterday here. So there are a lot of changes. Git gives us the following numbers: “106 files changed, 6966 insertions(+), 2259 deletions(-)” in just 3 weeks. This means the release is definitely beta quality, so use with care. Next week the team will be in Amsterdam for the RAID 2012 conference. After that we’ll continue to work towards 1.4beta2. For an idea of what is coming, check the milestone. Until than, have fun with this new beta. Many thanks to our generous contributors! One of the new features in Suricata 1.3 is a new content modifier called http_user_agent. This allows rule writers to match on the User-Agent header in HTTP requests more efficiently. The new keyword is documented in the OISF wiki. In this post, I’ll show it’s efficiency with two examples. Consider a signature where the match if on a part of the UA that is very rare, so not part of regular User Agents. In my example “abc”. Now when running this against a pcap with over 12.500 HTTP requests, neither signature matched. However, signature 1 was inspected 209752 times! This high number is because the request headers are inspected one-by-one. Signature 2 wasn’t inspected at all, as it never made it past the multi pattern matching stage (mpm). When looking at pcap runtime, running with only the http_user_agent version is about 10% faster. So, what if we want to match on something that is quite common? In other words, the signature will have frequent matches? Each of the inspections of signature 4, the http_user_agent variant, is actually a match. This makes sense as we look for a simple string and the mpm will only invoke the signature if that string is found. It’s clear that the http_header variant takes way more resources. Here too, when looking at pcap runtime, running with only the http_user_agent version is approximately 10% faster. It’s quite clear that the http_user_agent keyword is much more efficient that inspecting all the HTTP headers. But other than efficiency, the http_user_agent also allows for much easier to read rules. The Emerging Threats project will likely fork their Suricata ruleset for 1.3 (see this blog post). Even though this will be a significant effort on their side, it’s pretty clear to me the performance effect will be noticeable! With the 1.2rc1 release you will notice no more HTTP errors on the screen. Or SMTP errors. This output has been disabled finally. This was a long time annoyance. As you may still be interested in the errors they are now available through the rule language. In rules/http-events.rules and rules/smtp-events.rules rules for all possible events/errors can be found. This will match on HTTP/1.1 requests without a Host header. This will give you an alert if there have been more than 5 anomalies detected. Blog spammers, malware and other unwanted HTTP users often use HTTP with all kinds of issues, so this may be a helpful tool in detecting those.